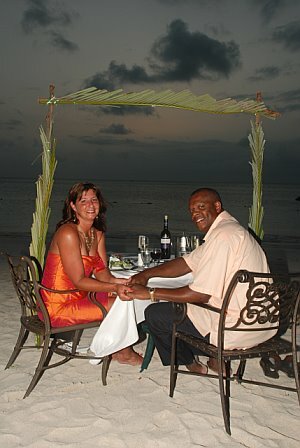 We would love for you to join us on our Dream Destination Vow Renewal at Sandals Negril in Negril, Jamaica. Dream Makers Vacation Services Use confirmation number 693489. Angela H. Nance was born in Huntsville, AL but was raised in Lacey's Spring, AL. She is the third born and only girl of two brothers, Craye and Drew. Her parents are the late Orlyn and Martha Hall. Angie is employed at Qualitest Pharmaceuticals where she is a Line Lead in the Packaging Department. She enjoys fishing, traveling, her dogs and spending time with her friends and family. Darryl R. Nance was born in Fayetteville, TN but was raised as a child in Huntsville, AL. He is the second son and third born of four children, Michael, Katrina and Michelle. His parents are Ollie and Elsie Nance. Darryl and his father own and operate Nance Transmission Service in Huntsville. Darryl loves to fish (fresh and salt-water), hunt, travel and spending time with his family and friends. Darryl and Angie met at Huntsville Country Club where they both were employed at the time. After a few months of flirting with each other, they began dating in May 1988. Three and a half years later, as Angie arrived home from work, Darryl completely surprised Angie with a ring and a marriage proposal! Not wasting any more time, they were married March 7, 1992. They are renewing their vows in beautiful Jamaica on July 8, 2009 after 17 years of wonderful marriage.